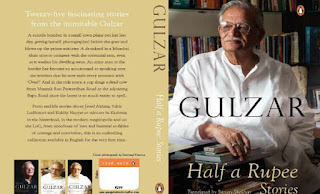 I am sure Gulzarsaab needs no introduction ever!! 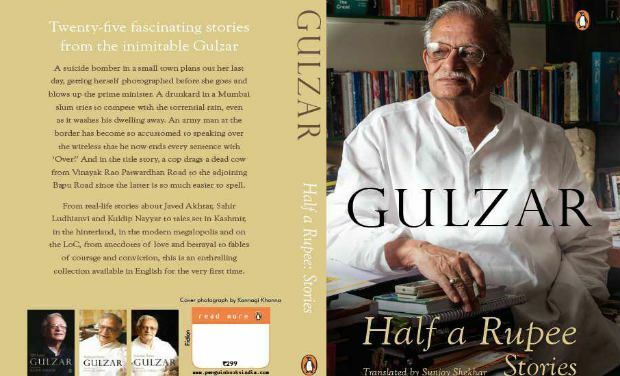 Half a rupee stories by Gulzar is a collection of short stories out of which some are biographical in nature while some are purely result of imagination. The most beautiful aspect about all of them is the “real-ness” each one of them carries. The way the reader is pulled into a story and made to witness it as if real is something that only a master story teller like Gulzar can do. Compassion, love, friendship, care, brotherhood and various other myriad colours of human emotions are available to witness in these pages. It seems as if someone has caught hold of some of the most beautiful memories of life and wrapped them up in this book. Out of such a masterpiece it is very difficult to choose any one story to claim as my favourite as the whole book is my favourite now. I somehow enjoy such kind of books a lot, where the authors talk about the bygone era with a smile on their lips, chuckle in their voices and a hint of joy mixed sadness in their eyes. It is for this sheer brilliance of narration and creativity that this book becomes a must read for everyone who loves Urdu, Gulzar saab, Indian stories and yes translated works. This book is like my favourite cup of Cappachino- Creamy, frothy, with the hard kick of coffee yet the sweetness of sugar...in short yummy and irresistable! 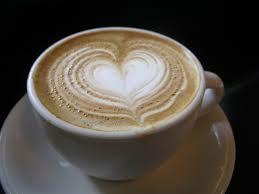 Love your foodie verdicts, me!